Preheat oven to 400 degrees. Slice of both ends of each onion and peel off skin. In a glass baking dish toss everything to evenly coat onions with seasoning. Then arrange so that the onions sit on top of the thyme. Roast for 30 minutes. 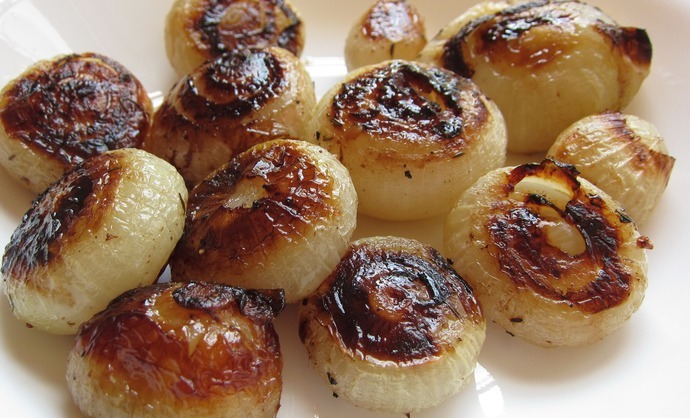 After each ten, gently flip each onion so that it evenly caramelizes. Perfect on their own as an antipasti or mix into your fresh summer tosses of tomatoes and green beans. 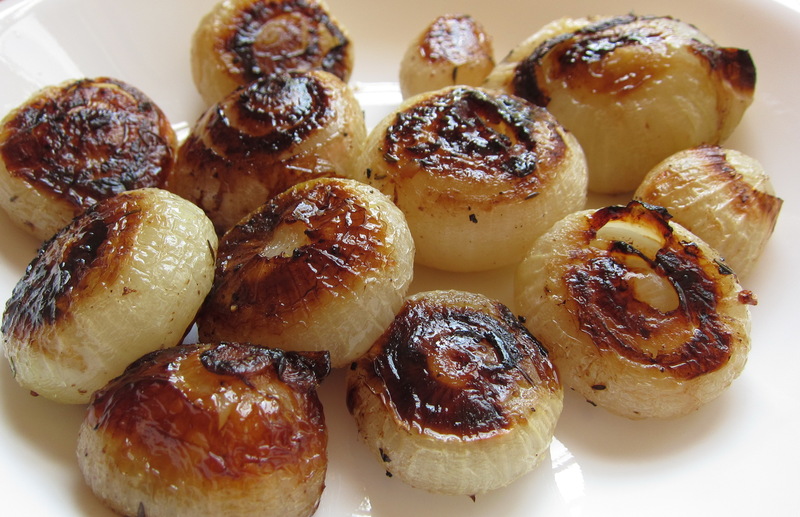 Nothing compares to the succulent sweetness of these terrific little onions. Manga!